The thirteenth edition of the conference (some call it a festival) will happen on May 6, 7 and 8 at STATION Berlin1 together with MEDIA CONVENTION Berlin2. Tickets are NOW available. Once again and IRL3 we will bring together a diverse group of people from all over the world: the digital society. We will talk, we will debate, we may argue; but more than ever, we will go IN DEPTH. Because things are complicated. Things are complex. Things need to be thought through, discussed and looked at from different angles. This is why we are dedicating the next re:publica to the long read, the small print, the footnotes; to the power of research, the power of controversy and the urgency not to simplify the issues that divide (or unite!) us. 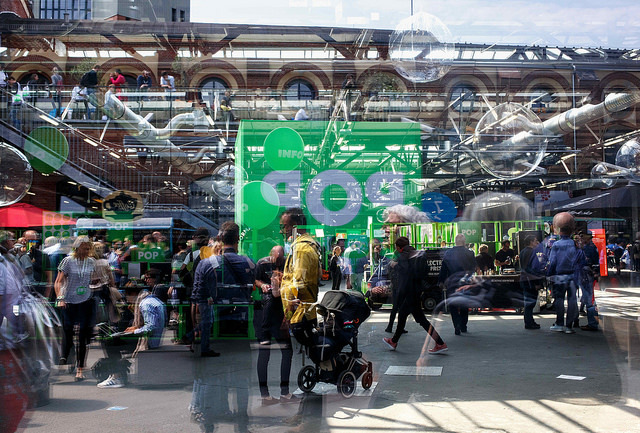 Our Call for Participation has started, the hashtag is #rp19 and the motto is tl;dr which is Internet slang and stands for too long; didn’t read4. 2 MEDIA CONVENTION Berlin (MCB) is one of Europe’s leading media congresses. Medienboard Berlin-Brandenburg (MBB) and Medienanstalt Berlin-Brandenburg (mabb) are hosting the MCB in cooperation with re:publica and on behalf of the federal states of Berlin and Brandenburg. 3 TL;DR, short for “too long; didn’t read” , is Internet slang to say that some text being replied to has been ignored because of its length. In slang it can also stand for “Too lazy; didn’t read” . It is also used as a signifier for a summary of an online post or news article.